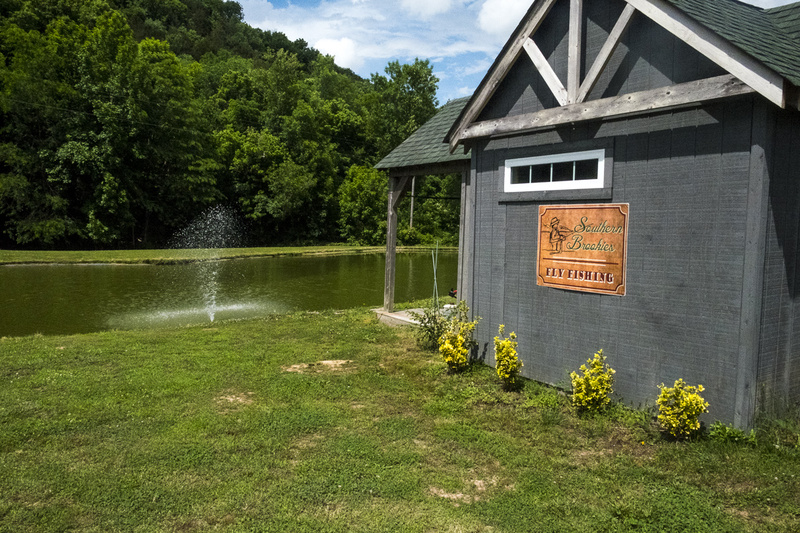 About an hour outside of Nashville, in the little town of Lancaster, Tennessee, is a picturesque camp on a beautiful trout stream. 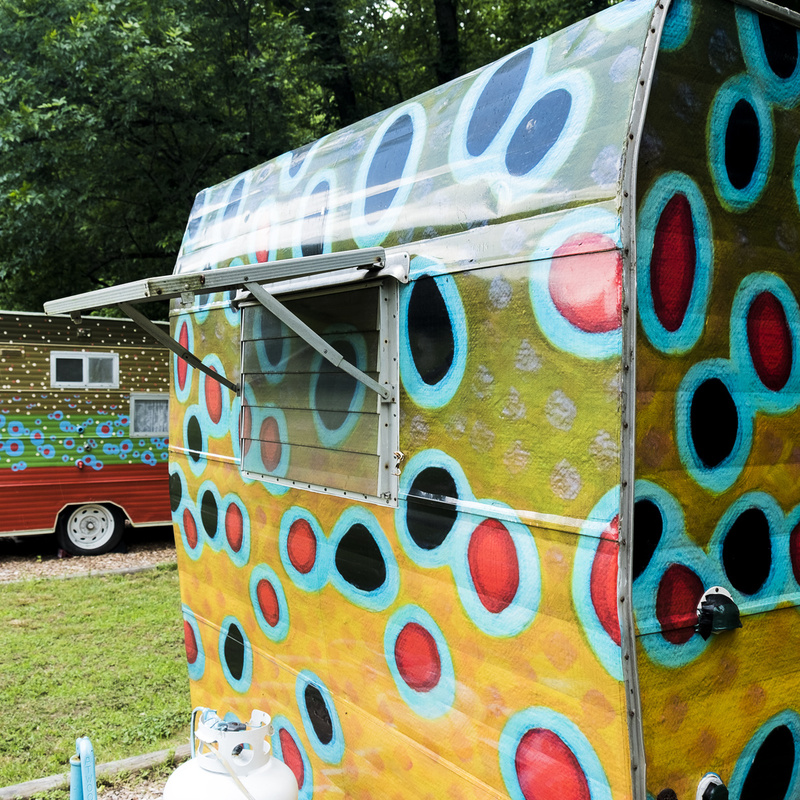 Dotted by trout-painted vintage campers with a view of the Caney Fork River, I talked to Southern Brookies’ founder Susan Thrasher about fountain pens, life lessons, and euro-nymphing over a glass of southern hospitality. Jen: Are you a native of Tenness? I was born in Mobile, Alabama and moved to Bristol, Tennessee when I was two. Jen: Before Southern brookies, what did you do? I was a civil engineer with Parsons Brinckerhoff, headquartered out of New York. The massive outdoor stone fireplace is the perfect place to unwind after a day on the river. Jen: I’m sure that was a lucrative career. Why did you decide to take a different path? I learned to fish, and as I became more knowledgeable, I began to notice that people would ask how I was able to cast so far. I realized that it was fun to stop fishing and teach them. I was so passionate about the sport that I couldn’t wait to introduce more people to it. The more I taught, the more I enjoyed teaching and guiding others more than fishing myself. I began to think I would enjoy doing this all the time. I was too young to retire and I couldn’t quit, so I put a 10 year plan in place. I waited for a big project I was working on to end, and I gave notice. At that time, I was in a senior corporate position and most people knew who I was. So, when I gave notice, I sent an email with “What would you do?” in the reference line. When they opened the email, it said “If you knew you couldn’t fail?” My answer was to teach fly fishing for a living. I was surprised by the number of people who said that they really wished they had something they were passionate enough about to leave. Jen: Have you ever taught people from your former workplace? Yes, multiple people. One man came and asked me how this differs from what I did. I told him now when my clients drive up, they are excited. At the end of the day they say how amazing the day was, and they give me a hug. Before, I would occasionally have someone say the same thing, but there was no hug at the end of the day. Jen: What makes your camp different? The vintage campers, definitely. Occasionally I will offer dinner along with the vintage camper stay, and I’m pretty well known for my grilled pork chops. I actually have a fly that I’ve named the pork chop. Jen: I asked for a picture, but it’s top secret. 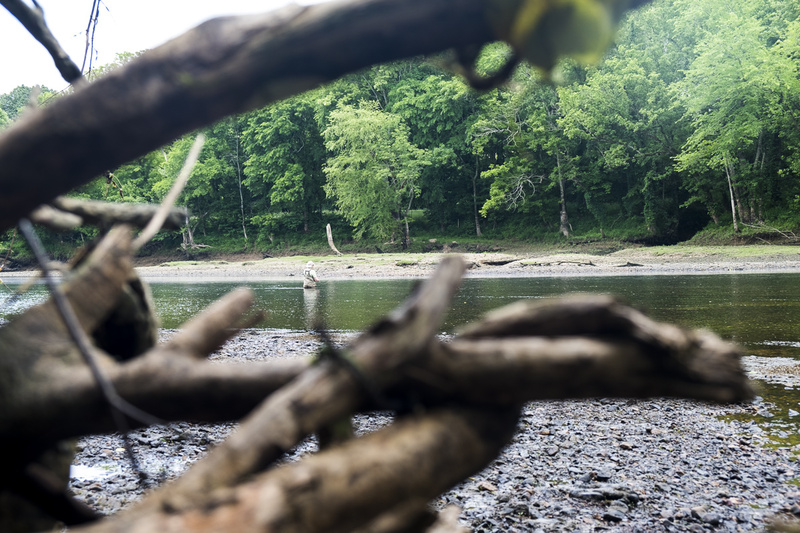 Jen: Why the Caney Fork? Tell me more about this fishery. It’s the closest cold water trout stream near Nashville. I had kayaked, floated, and fished it a number of times and fell in love with it. I found a place across the river and it was outrageously expensive. A realtor suggested I watch for a piece of property going for auction. I had just seen an auction sign for this piece of property. I came out and walked the entire farm which they were dividing into 10 and 12 acre lots. I asked a lot of questions and then I could just envision it all. The boat ramp, school, camp. I had a top price per acre in mind and so I raised my paddle for that amount and held my breath. Jen: You started a group called the Music City Fly Girls. Tell me about that group. In 2007, I was part of TU and other local fishing clubs, but there’s something unique about an all women’s or all men’s group. There’s a different dynamic. The camaraderie is all different. I wanted a group where women could gather together and learn without feeling pressured to have to fish. No judgment. I wanted a group where a fly girl was able to call someone to fish with so they didn’t have to go alone. Now the group is really like a family. There are approximately 40 fly girls. We charge $60/year to join and the money goes in a pot to subsidize trips and outings. 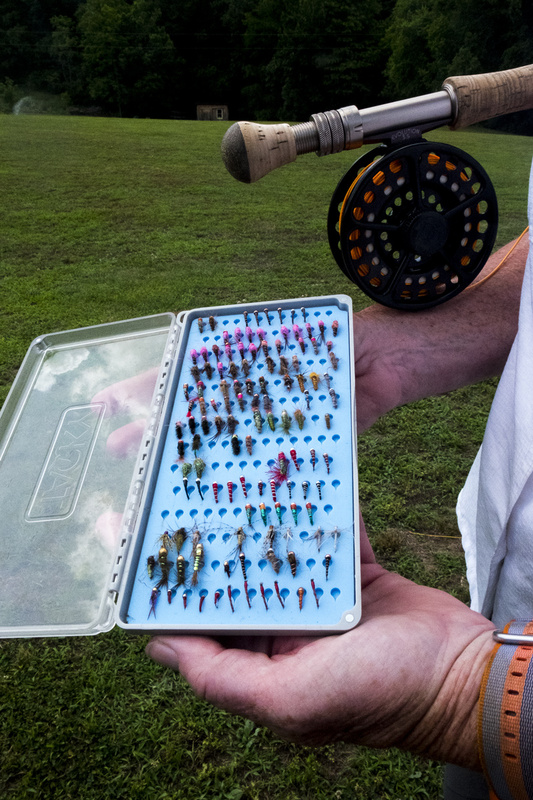 One of our club members was asked by a member of the Middle Tennessee Fly Fishers what made our club different. She told him, “I’ll tell you what it’s not like. We don’t’ have board meetings. We don’t have drama or fighting.” He asked how we ever got anything done. She told him that we have benevolent dictators. We know what dues are, when they’re due, and we give her our money, show up, and have fun. Jen: Tell me something about Susan Thrasher that not a lot of people know. I collect fountain pens. As an engineer I took a lot of drafting classes and I love writing and printing. I’d rather write out a card than type it. I like the idea of filling the pen with ink, the heaviness, the way it makes a scratch on the paper. There’s just something about it. Jen: What would you like people to know about Southern Brookies? Once you get here and see it, you won’t want to leave. It’s beautiful, peaceful, and serene. Jen: She is absolutely correct. I didn’t want to leave and already have plans to head back. Jen: You’re a Certified Casting Instructor. What does that add to your camp? It means if you’re frustrated with your cast or feel like you need more experience before you take a guided trip, you don’t have to be. When you’re on the water with me, we are not only having a good time fishing, but you’re learning a lot at the same time. I want people to feel like there is no need to be nervous. Everyone has a starting point. I like to think I can relax people and let them know it’s a learning process. 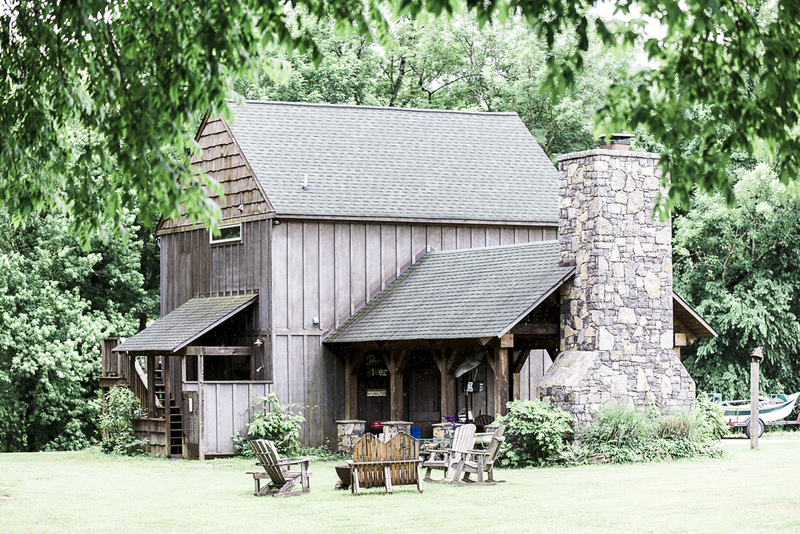 Southern Brookies is a place of patience and opportunity to learn in a beautiful setting. Jen: Why the name Southern Brookies? Calling yourself that would make one believe that you are closer to southern brook trout water, like in the Smokies. How did you come up with that name? I am very proud of being from the south. My accent would give me away at the Manhattan headquarters, but I was always proud of it. I loved the thought of having “Southern” somewhere in the name of what I was doing. Brook trout are my favorite. They’re little hand painted gems. Even the tips of their fins remind me of a French manicure. They’re so beautifully laid out. Jen: What does a guide trip look like? 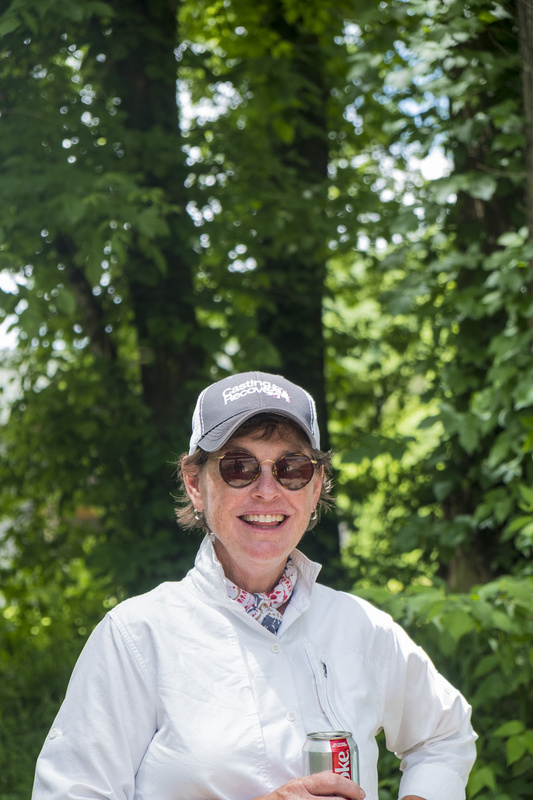 If you’ve never fished before or are still a pretty new caster, I’ll ask you to show up one hour before for an hour casting lesson at the casting pond. Once in the boat, I anchor in the middle of the river and we’ll practice what we learned on the pond. We’ll go over mending and then get you fishing. This water is a tail water and the float location and start time depends on the generation schedule. I am a big believer in more fishing than rowing. We cover every little inch, riffle, run, or choppy water. Everything there is, that’s what we cover. You’ll typically fish with a 5 or 6 weight and if there’s a brand that you’ve wanted to try and I have it, I love to let you try it for the day. Why spend a lot of money if you’ve never used it before? Jen: Describe yourself in five words. Happy. Driven. Sociable. Seeker. Patient. Jen: I’ll add a sixth one. Kind. Susan is the kindest person I have ever met. Jen: What piece of advice would you give to our readers about a guided day? Whenever you hire a guide, it’s an investment. Come prepared with a list of questions that you’ve always wanted to ask. You have seven or eight hours in a drift boat with a guide that fishes all the time. They’ll have a lot of answers to your questions. Use that time as a learning experience and resource. Talk about access points, favorite flies, and what they’re looking for when they tell you to cast over there. Why over there? What does the tail out of a run mean? Why cast behind the boulder? How do you read water? That kind of thing. Jen: What’s in your fly wallet? Midges, midges, midges. 90% of the time fish are feeding sub surface. Even though it’s fun to dry fly fish, if you want to be productive, you’ll fish sub surface. We don’t have prolific hatches like out west, so subsurface is more productive on the Caney Fork. Jen: We just went euro-nymphing, something I’d never done before but really liked. How did you get involved with this technique? My neighbor at the river had just gotten back from the mountains in North Carolina and asked if I had ever tried “euro-nymphing.” I had heard of it, but not tried it. I found an instructional video by Devin Olsen and Lance Egan. It’s an amazing video called “Modern Nymphing-European Inspired Techniques”. One of the things I like so much about fly fishing is when you hook a fish, you are connected to it. You feel every movement. With euro, you have a tight line the whole way and it’s even more about the feel. It gives you a tactile sensation and I love that. Jen: What are two things that have helped you more than anything?